A country line dance is a choreographed dance with a repeated sequence of steps in which a group of people dance in one or more lines or rows without regard for the gender of the individuals, all facing either each other or in the same direction, and executing the steps at the same time. Unlike in circle dancing, line dancers are not in physical contact with each other. Line dancing is practiced and learned in country western dance bars, social clubs, dance clubs and ballrooms. As a new student, we'd love to invite you to try our introductory special. 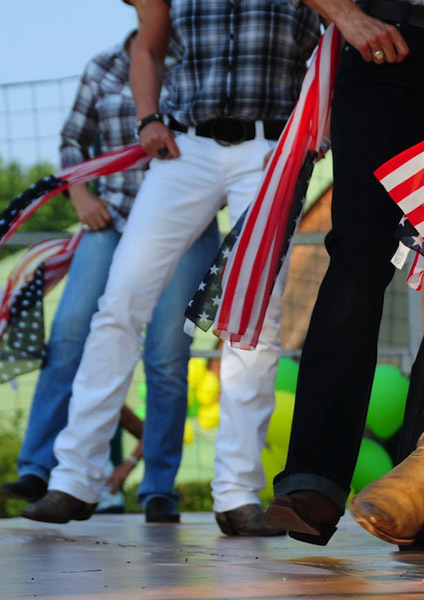 Get 2 private country line dance lessons for only $10! Singles or couples welcome. © 2015 All That Dance Studios in Louisville. Offering country line dance lessons Louisville KY. Try 2 private country line dance classes for only $10 and learn country line dancing in Louisville.